THE B-MOVIE NEWS VAULT: STOCK YOUR VAULT: New DVDs & Blu-rays for 09/19/2017! STOCK YOUR VAULT: New DVDs & Blu-rays for 09/19/2017! Hey Vault Dwellers! 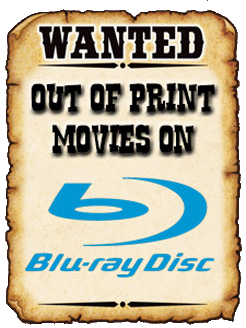 It's time again to STOCK YOUR VAULT with some cool new titles on DVD and Blu-ray! This has turned out to be a rather slow week for genre releases, but as always, there are plenty worthwhile titles that you will definitely want to add to your growing collections! STARSHIP TROOPERS makes its way to 4K UHD alongside an all new CG-animated film called STARSHIP TROOPERS: TRAITOR OF MARS, and WONDER WOMAN makes a big splash on all home video formats! CLOSE ENCOUNTERS OF THE THIRD KIND is celebrating its 40th anniversary with an all new 4K UHD and Blu-ray release as well! 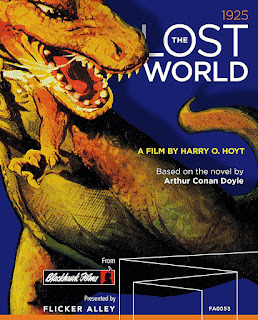 Warner Archives Collection delivers two highly sought-after titles on Blu-ray, namely INNOCENT BLOOD and THE ILLUSTRATED MAN, and a label called Flicker Alley has just released one of the most important Blu-ray discs of all time, for 1925's silent feature, THE LOST WORLD! Along with a new 2K transfer, this disc contains more footage than any previous release of this historically important film! For you TV lovers with money to burn, you can get the entire complete series of BUFFY THE VAMPIRE SLAYER, BATES MOTEL, or a 15th Anniversary Collector's Edition of FIREFLY: THE COMPLETE SERIES! There's a bit more to scope out, so scroll on down to see the full list of this week's new DVDs and Blu-rays!